The Great Wall of China, one of the greatest wonders of the world, was enlisted in the World Heritage by UNESCO in 1987.The history of the Great Wall is a long one - it was built over many hundreds of years. 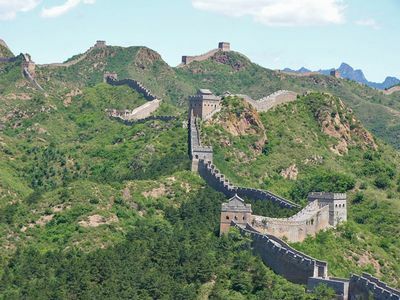 The first major wall was built during the reign of the First Emperor, the main emperor of the short-lived Qin dynasty. The Great Wall is the largest man-made monument ever built. Find more Great Wall images in the gallery of Photorena.